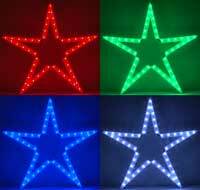 Include a star to enhance your display or include multiple stars for a shooting star effect! Note: Dumb RGB Controller & Dumb RGB Extension required to run star. Timing is included for 5 stars in all of our RGB layout Christmas Sequences.